One of the most popular instant messengers in the world announced the release of a set of new WhatsApp features for its camera. Now users will be able to make inscriptions and draw on the photo, as well as add emojis. The editor menu appears automatically when you take a photo or video, or when the user selects them for sending from his phone. You can also select the font color and style for the text. The application camera now also supports the front flash, so that “you can shoot the ideal selfie, even in poor lighting conditions or at night,” the company said. Also, for the recording of video, the functions of scaling and switching between cameras have been added. In order to increase or decrease the image when shooting a video, simply swipe your finger up or down the screen, and to switch from the front to the main camera and vice versa, you need to double-click on the screen. Updating the application with new camera functions is already available for Android devices and will soon appear on iOS. Secondly, iPhone users can create their own gif files from the video, whose length is 6 seconds or less. To do this, simply click on the GIF switch after selecting the video in the application. You can also send Live Photos as GIF. To do this, you need to click the Attach – Photos / Videos button – using the 3D Touch technology, click on the “Select as GIF” option. This option is only available for iPhone 6s or iPhone 7 phones. Updating the Android application is not yet available, but it seems that the application that Facebook owns has decided to seriously tackle the issue of competitiveness. So, some time ago several sources reported that WhatsApp started beta testing on Android with one more new feature called Status, which reminds everyone of the familiar Snapchat Stories and, more recently, Instagram. It is reported that Status will allow users to share messages, photos or videos with all or selected friends in the application. Such messages will disappear after 24 hours. Well, let’s see if the messenger will make this new feature publicly available. The opportunities for business WhatsApp using look very promising because messenger applications are pervasive, easy to use and mostly free. Their popularity, in addition to these factors, is also related to the convenience of finding an interlocutor: binding to the phone book makes messengers one of the most successful personal and corporate solutions of the last time. Naturally, right after the first users – gadget lovers and fans of everything new – business showed its interest in a new type of applications. Now entrepreneurs use instant messengers to request prices, forecast changes and inform employees about the company’s news and adjustments to the business strategy. However, the growth in the number of smartphones and the spread of messengers is also a challenge for business. In particular, fierce disputes regarding the security of user’s data, network neutrality and the responsibility of Internet corporations continue. Behind theoretical battles, the real needs and complexities of corporate users are somewhat forgotten. And there are several of them. Messengers do not guarantee the security of files and messages being forwarded. This issue is important for any customer: user correspondence is not deleted, but only archived in application databases. The same applies to status messages. Companies have secrets that they are trying to preserve – it has always been, and it always will be. And messengers are a time bomb placed under all attempts to hide something. Security researchers experimented with the creation of bots in the WhatsApp messenger and were greatly surprised by the results: they found that it’s easy to monitor users in spite of all the security settings. Additional concerns add the information received and published by the Electronic Frontier Foundation. In particular, the researchers of the organization have determined that the level of data protection in instant messengers is criminally low. 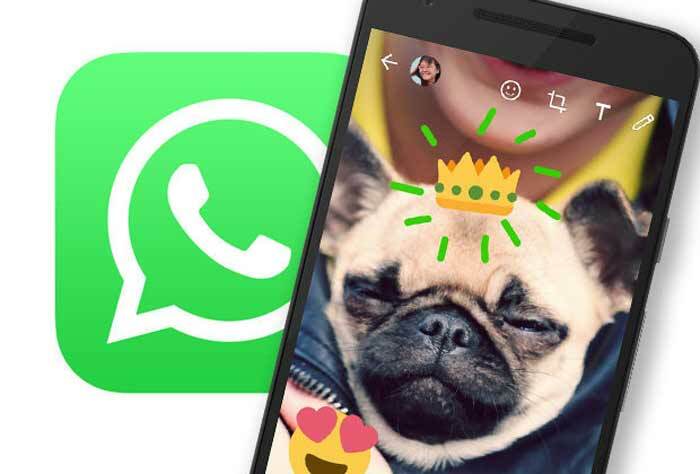 For example, two instant messengers from the group of leaders, WhatsApp and Viber, demonstrated only one of the six stars, showing the lowest results in the market.